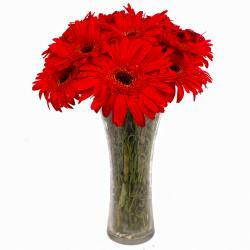 Product Consist : 10 Multi Color Gerberas with green fillers nicely arranged in a Glass Vase. 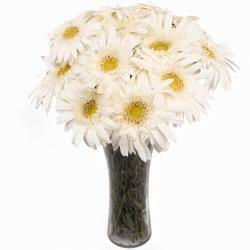 This gift item comprises of flowers in a vase. Beautiful ten Multi Color Gerberas are used to decorate the designer glass vase. 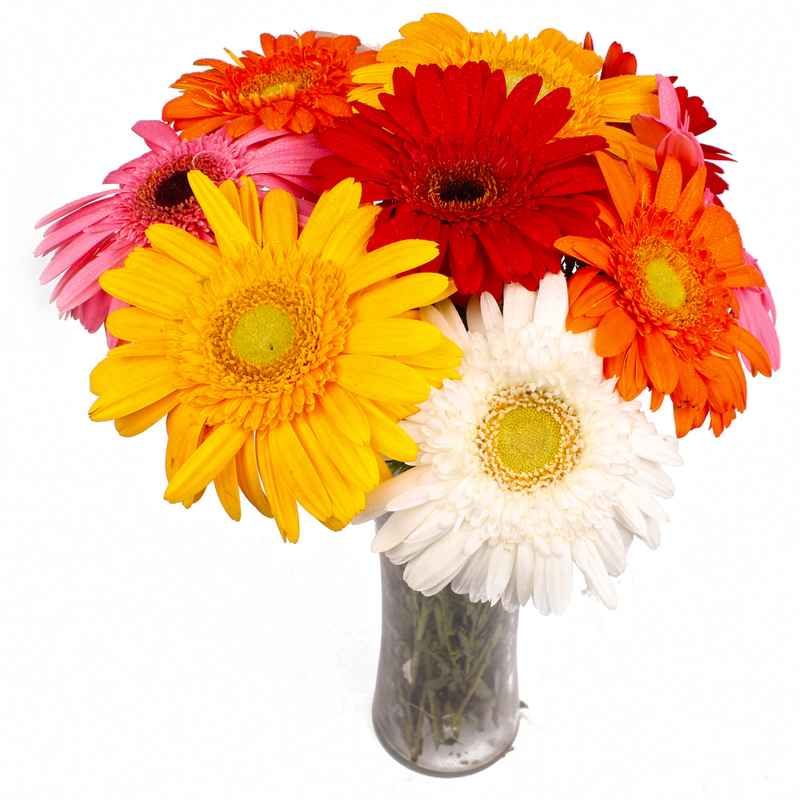 Gerberas Symbolize pure love, sweetness and innocence. 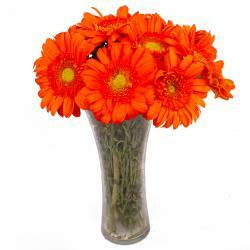 Gerberas are known for their pleasing fragrance and have always been used for describing the emotions. Let your gift express the love and care for your dear one Birthday, Anniversary, Missing You, Dusshera, Makar Sankranti, Boss Day. 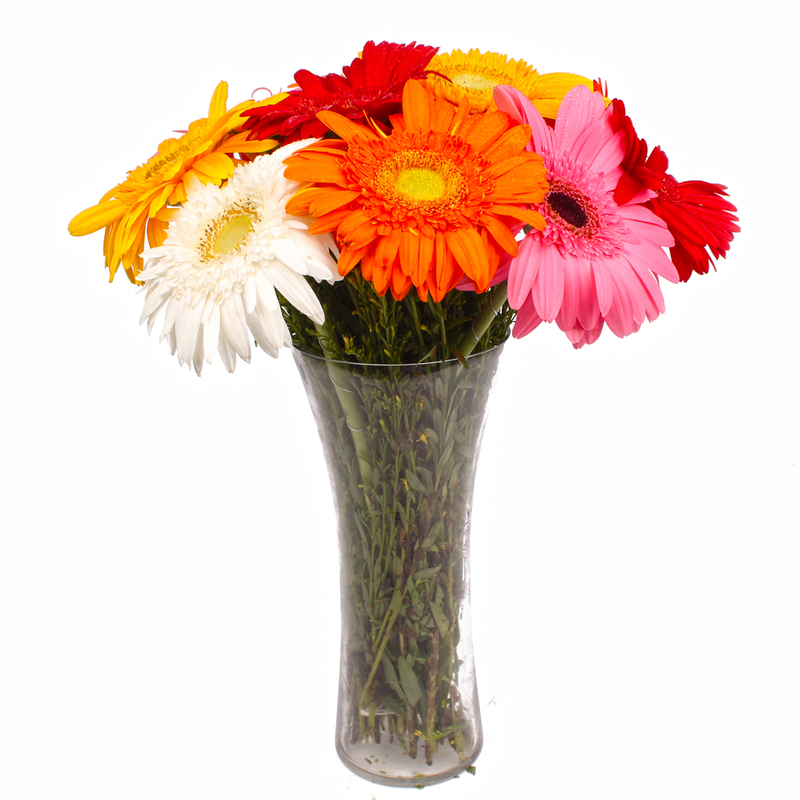 Gift this fashionable glass vase with Multi Color Gerberas and make your loved ones feel special. 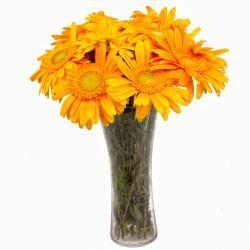 Product contains : Ten Multi Color Gerberas with green fillers nicely arranged in a Glass Vase.